Experts agree: St. Augustine Beach Mayor RICHARD BURTT O'BRIEN and his wife illegally constructed a McMansion at 16 F Street, violating setback requirements. What's next: it must be torn down under Florida law. The Fourteenth Amendment commands equal protection of the law. Florida law going back to 1934 requires that illegally built structures must be torn down. This law applies to RICHARD BURTT O'BRIEN and LAUREN RINGHAVER, just as it does to condo projects and other properties. Ours is "a government of laws, not of men," as our Founders instructed. Being Mayor does not allow you to escape compliance with zoning laws -- not even in St. Johns County. The days of people tolerating corruption here are rapidly ending. Enough is enough. No response to this e-mail, sent three days ago. 1. Do you have any comment on your illegally constructed "McMansion" at 16 F Street, allegedly built in violation of setback requirements? 2. Are you planning to tear it down, as required by Florida law since 1934? Four years ago, a Florida appeal court affirmed a ruling ordering a developer to raze a $3.3 million, five-building apartment complex that towered over neighboring homes, despite its approval by the Martin County Commission. The District Court of Appeal's 2001 ruling conceded the issue raised in a lawsuit by a neighboring property owner was unprecedented in Florida. But the court ruled that the law required demolition of The Villas at Pinecrest Lakes in Jensen Beach, a beach town north of Palm Beach County. Despite governmental approval, the 136 occupied apartments violated the county's comprehensive plan and were built closer to neighboring homes than the law allowed. The judges wrote that if large financial losses by developers who continued building projects out of compliance were weighed against neighbors' diminished property values, then demolition would never be ordered. Such an argument, the judges said, would allow anyone with financial resources to "buy their way" out of compliance. "It would allow developers such as this one to build in defiance of the limits and then escape compliance by making the cost of correction too high," they wrote in a 17-page ruling in favor of a neighboring homeowner who waged a seven-year battle. "... Every citizen in the community is intangibly harmed by a failure to comply with the comprehensive plan, even those whose properties may not have been directly diminished in value." Within a year, hundreds of residents were forced to move out and the five buildings were reduced to rubble. At least as far back as a 1934 case ordering demolition of a high-rise building that wrongly received municipal approval, Florida courts have maintained that errors by government employees, councils or commissions don't transform an illegal situation into a legal use. If you build it and it's later found to be inconsistent with the law, Florida courts have ruled in favor of parties seeking demolition. 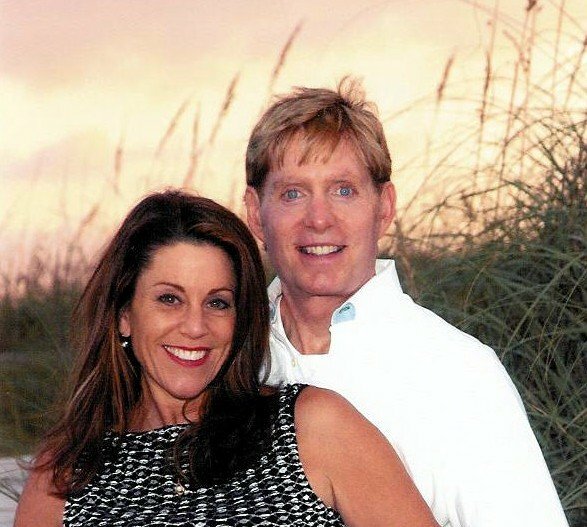 Naples could soon be in a similar position as Jennifer and Jason Stephens continue their fight to get a variance for their partly built "dream home," which has already cost $459,000 of their $2 million mortgage. It sits on a canal-front lot at 1680 Dolphin Court in Royal Harbor and was denied a 15-foot, 9.6-inch variance involving a portion of the home ? mostly the garage ? that encroaches into a required 30-foot front yard setback. But if the Naples City Council doesn't vote Wednesday to hold a reconsideration hearing to review a smaller 5 1/2-foot variance and the couple wages a court battle, Naples would be the likely victor because its stance is to uphold the law. "The fact that it may have been issued in error is not really relevant as far as courts are concerned," Naples City Attorney Bob Pritt said of the Stephenses' building permit. "My mantra is either follow your variance criteria or change your criteria." Naples is revising its variance criteria, but suggested changes by Pritt and the Planning Advisory Board must be approved by City Council and still wouldn't allow the Stephenses' variance. The Stephenses' case involves a number of errors on both sides, beginning with the couple's architectural firm. David Wainscott of Naples-based South Florida Architectural Associates drew their home's plans using a chord measurement, which has been prohibited in Naples since 1991. That extended the property line into the city right of way, increasing the setback area and causing the home to encroach 14 feet, 2.4 inches into the city's required setback. The plans, which clearly show the chord, were submitted in November and after several reviews and rejections, received approval Dec. 29 by Tom Goodwin, a plans reviewer in the building and zoning division who quit in July. A building permit was issued to T. R. Rushing Construction on Jan. 4 and the home went through several building inspections involving standards, not placement of the house. It wasn't until March 29 that city inspector Bob Banker spotted the error on a spot survey submitted by Tim Rushing, who was told to halt construction. But Rushing said Goodwin allowed him to continue light framing until he determined what went wrong. On April 7, after city officials discovered construction had continued, Paul Bollenback, now the city's building official, called for a stop-work order, halting construction. On July 12, the couple were successful before the Planning Advisory Board, which voted 5-2 to grant a variance, even though their financial plight and hardship aren't variance criteria under the law. Heeding city Planning Manager Stephen Olmsted's denial recommendation and neighbors' and city residents' objections, City Council on Aug. 16 voted 4-3 to deny it. Most zoning and variance cases that head to court involve several key factors: equitable estoppel, constructive knowledge, property hardship, and due diligence.
? In equitable estoppel, a property owner makes a substantial change in good faith, relying on the approval or act of a government or government employee. The Stephenses' attorney, Richard Yovanovich, has cited equitable estoppel, but wasn't successful because the law says that argument is only successful if laws aren't violated.
? Constructive knowledge means a property owner, architect, builder and others hired by the property owner should know the law, and approval by a government is not guaranteed. The Stephenses' plans contained a red stamp stating that approval does not mean plans meet code and that work can be stopped at any time if plans do not comply.
? A property hardship involves land, not financial hardship, and occurs if a property owner cannot build anything reasonable on the parcel without a variance.
? And due diligence means a property owner must do his homework. In the Stephenses' case, they said their architect does not carry errors and omissions insurance, which is not required by the state, but they never asked for documentation. The Stephenses' case is strikingly similar to that of Warren and Anne Meretsky vs. Town of Lauderdale by the Sea. The Meretskys owned a corner lot and Anne Meretsky consulted with a town code officer to determine how zoning regulations would affect the placement of a swimming pool and wall they wanted to build. Based upon the information, she applied for a zoning variance, which was reviewed by the same code officer and corrected. The application involved building a wall around a pool several feet into front and side setbacks. The application didn't mention it would encroach into a public right of way, although an attached survey showed that. The Town Board of Adjustment recommended denial, while the Town Commission, whose discussions never involved rights of way, approved a variance. A resident alerted the town that the wall caused a sight hazard at the intersection. Seven months after the building permit was issued, town officials filed a cease and desist order. By that time, the concrete portions of the brick wall had been erected. Still, building continued and the 6-foot brick wall was completed. The Meretskys sued, claiming they would never have built the wall if it wasn't allowed 10 feet from the pool's edge. They had spent $39,662.80 on the wall and $74,662.80 on the full project. A circuit judge ruled in the Meretskys' favor, finding the town council had granted them permissive use of the town's property. Town officials appealed and the District Court of Appeal, citing equitable estoppel, noted governments may be stopped from ordering someone to remove a wall if that person relied on governmental approval. "However, when there is no authority to grant the building permit, the governmental entity cannot be estopped from revoking the permit," the judges said, pointing out that approval violated the law and that the Meretskys had constructive knowledge of the town codes. Reached this past week, Anne Meretsky was bitter over her experience and declined to say how much the legal battle cost, but said they spent money ripping down the wall and erected a fence. "My advice would be, 'Don't fight politics because it's all underhanded,'" Meretsky said. An article published in the South Florida Sun Sentinel said that before the appeal, the town had spent $20,000 in legal costs and the Meretskys paid nearly $35,000. Town Attorney James Cherof couldn't be reached concerning the cost of the appeal. In Dade County vs. Gayer, the property owners built a wall on their property after the Zoning Appeals Board granted a variance. However, the county commission ordered it torn down because it was actually built on county property. A circuit court sided with the Gayers, but the county appealed and won. "While at first blush, it seems that the application of the rule may be harsh, it would be inconceivable that public officials could issue a permit, either inadvertently, through error, or intentionally, by design, which would sanction a violation of an ordinance ..." the District Court of Appeal wrote. In a 2001 paper for the Florida Municipal Attorneys Association designed to provide guidance for municipal attorneys confronted with zoning problems, Michael Cirullo, a city attorney, called Gayer one of Florida's most important permit revocation cases. "The court clearly weighed the greater public good in the authority of legislative authority and the importance of following the law against the harsh effect on the private individual and found that order in government must prevail," Cirullo wrote, noting that the only remedy for an illegal project municipal officials want to allow is to change the law, something he said was often politically motivated. In a case decided this May, David Auerbach vs. City of Miami, the District Court of Appeal ruled in favor of Auerbach, an aggrieved neighbor who sued the Miami Commission after it granted a variance allowing a developer to build a residential project within the required setback, to the lot lines. The court noted that the original plans didn't require a variance and said it was "totally unsupported" because the required legal hardship was nonexistent. "It is the unshirkable obligation of the courts ... 'to say what the law is' and to effect that judgment," the judges ruled, bristling at the developer's suggestion that a variance would render the project more aesthetically pleasing, be more economically rewarding, and that fixing results of an improperly granted variance was too expensive or inconvenient. Maturo vs. City of Coral Gables clearly sets forth rules for variances: "Florida courts have held that a legal hardship will be found to exist only in those cases where the property is virtually unusable or incapable of yielding a reasonable return ..."
But the Pinecrest Lakes case that ended in a $3.3 million apartment complex being razed underscored that a developer's financial hardship isn't a consideration. Richard Grosso, of the Everglades Law Center in Fort Lauderdale, who represented homeowner Karen Shidel in her successful battle against developer Thomas Thomson, said laws involving setbacks are clear. "The neighbors are entitled to the protection of the law and that's what setbacks are. They're for the protection of neighbors," Grosso said, adding that courts do try to find a reasonable remedy. However, he added: "You're only entitled to a use of a variance if you can't build. You're not entitled to a monster house. ... The law in Florida is that a variance is only granted if you can't make any reasonable use of your property without it. Variances are not approved when you want something big and could build something modest."